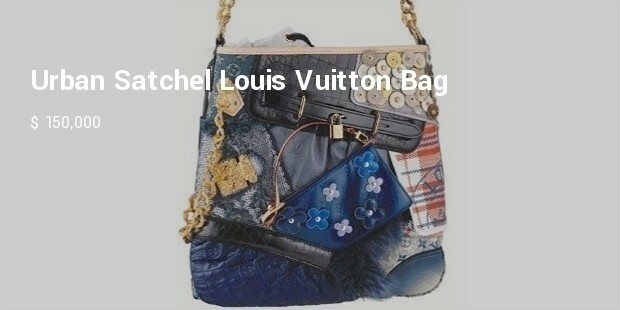 Most expensive Hermes Bag - Purses, handbags, whatever you call them, these fashion items have become a common fixture for the modern women. They all come in various brands, shapes, sizes, styles, and colors. Some are designed for high end fashion, while others are created to complement the urban chic. Whatever the case may be , many women don’t go out without their handbags in tow, whether as a piece of functionality or a fashion statement. 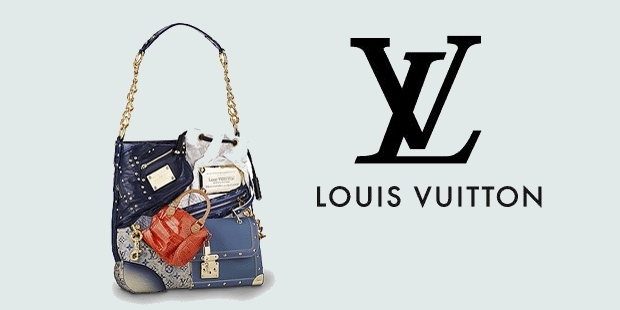 And for the femme fatales who believe that there is no better spot than being at the top, these expensive and exquisite handbags will surely tickle their fancy as well as their wallets. 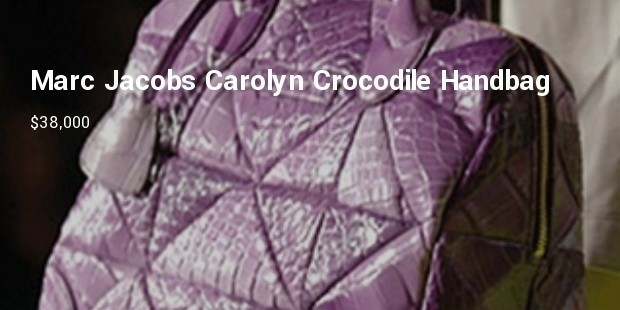 This one of a kind bag is the masterwork of 10 professional artisans who put in 8,800 hours to complete the bag. 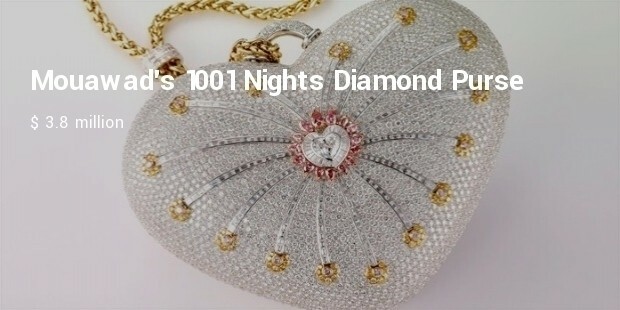 The heart-shaped purse is hammered and fashioned from 18k gold but the real highlight are the precious stones that adorn its surface – 56 pink diamonds, 105 yellow diamonds and 4,356 colorless diamonds. 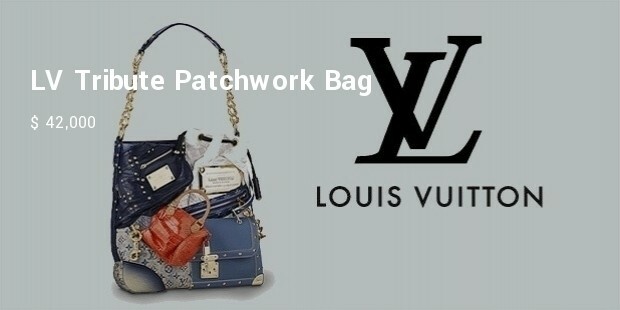 No wonder it has earned its place into the Guiness Book of World Records as the most expensive Bags in the World. 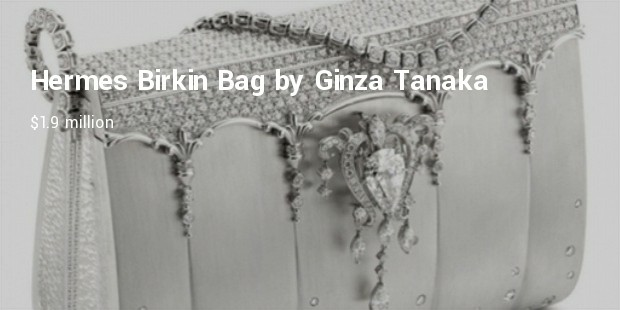 Fashioned from platinum, already a very precious metal by itself, this Brikin Bag also flaunts 2,000 diamonds in its outer shell. 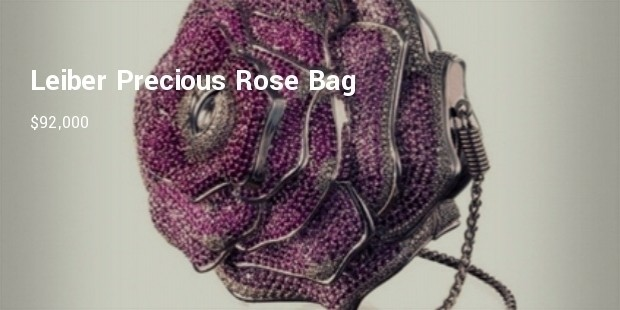 On top of that, the bag comes with a diamond sling that can be removed and be used as a bracelet or a necklace. A centerpiece diamond, a pear-shaped 8-karat stone sits at the front and can be removed and worn as a brooch. Platinum plus diamonds is a very expensive combination indeed. 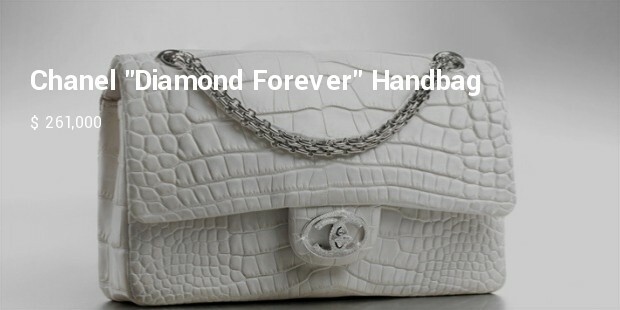 Nothing beats the classic and that is certainly the case with Chanel’s “Diamond Forever” handbag. 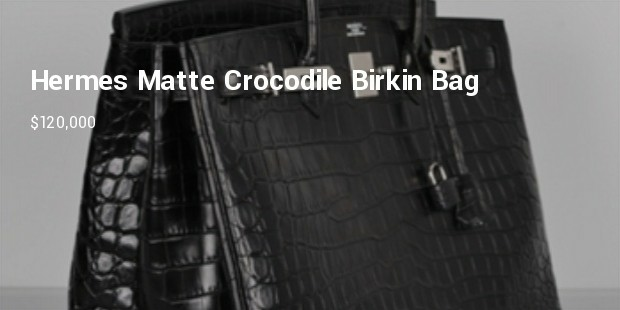 It’s crafted from fine crocodile leather and adorned with 334 diamonds totaling 3.65 carats. 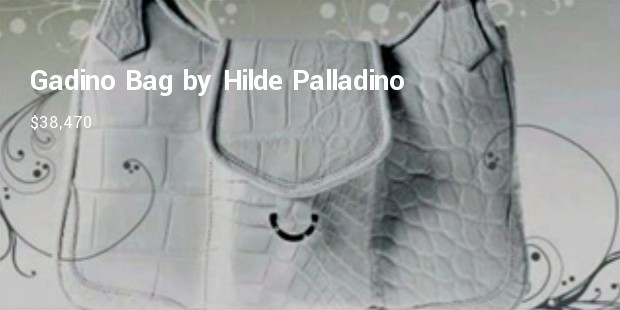 The shoulder straps are fashioned from white gold. There are only 13 of these and 5 are in the United States. Lana Marks brings exclusivity to a higher level with their Cleopatra clutch series. 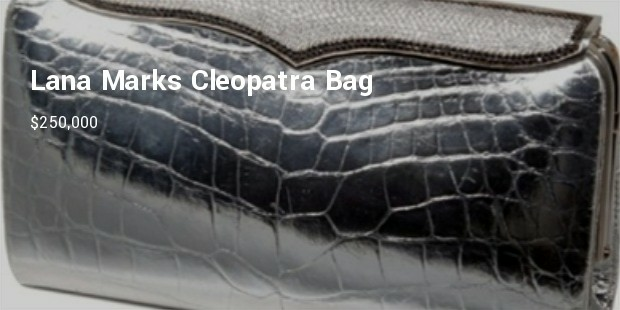 Only one Cleopatra bag is produced every year and each bag differs in design and color. A highly coveted item in the fashion world, this year’s Cleopatra bag from Lana Marks is made of alligator hide in a metallic silver hue. The 18-karat white gold clasp is encrusted with 1,500 black and white diamonds. Women and Fashion are the two rails of train , they always move together. Women have a huge varieties of items and accessories which can be made or bought to made to compliment the Clothes worn or even to the Woman herself. Bags , Purses is one such essential accessory which helps the Woman show around to friends and others in General , that how she carries herself in Society.